Valentine Quick Card Box & Cards! I used the same box design as the one I posted yesterday for the Mixed Bunch Box & Cards, but used Cherry Cobbler Textured Cardstock, Twitterpated Designer Paper, and the "P.S. I Love You" stamp set. I cut out my valentine hearts with the Heart Framelits, using the next to largest heart for the Whisper White layer. Even though there are 6 different sizes of hearts in this set, wouldn't you know the size I needed for the Cherry Cobbler matting layer didn't exist, UNTIL I realized I could trace around the outside of the framelit and then cut out the slightly larger heart mat with my Paper Snips! Voila! This discovery (although I'm sure I'm not the first), now expands the Heart Framelits from 6 sizes to 11! WOW! A great value for $26.95 price for the framelits! I also added some cool detailing to each heart, one of the "Trinket Hearts", available in the Occasions Mini Catalog! I attached each one to the heart using my Paper Piercing Tool and a Silver Mini Brad! Each heart has a phrase and image from "P.S. I Love You" and Riding Hood Red 3/8" Pleated Satin Ribbon. This final sample also has Cherry Cobbler Dazzling Details added to the stamped hearts! Even though Cherry Cobbler is not Riding Hood Red, it coordinates beautifully together! That's Stampin' Up! for you, always providing the best in coordination! See you tomorrow for the reveal of the samples in the running for my grandchildren's Valentines! Ever since Maddie Kate, now 10 1/2 and in 5th grade, was in Kindergarten I have made Valentines with her for her classmates at school. Last year Ava joined us in the valentine-making tradition, and this year Cohen has Valentine's to make for Tuesday school! Oh my, boy-valentines, which as you would imagine are VERY different from girl-valentines! Project for the Yes, Ma'am's! The box (in the center) will hold the three cards with their matching envelopes and is VERY simple to make! I found the directions for the box on the Stampin' Up! Demonstrator website as part of the Online Extras for the January Stampin' Success, the monthly magazine for demonstrators. Stampin' Up! provides LOTS of ideas and inspiration for their demonstrators, all we have to do is use our monthly magazine for inspiration or go to the website for more instructions! Once I made one, I was inspired to make more! After I made this box, I started creating cards to fit in it. I knew I wanted to use the "Mixed Bunch" stamp set from the Occasions Mini along with the Blossom Punch. After I paired this set with "Beyond the Garden" Designer Paper, I had to create a different box to match it! Funny how sometimes what you think you are going to do turns into something completely different, isn't it? Feel free to use this as you wish, for your personal creations or if you are a Stampin' Up! Demonstrator for your events. All I ask is that you do not sell it by itself online, please keep it free! I hope to be back this afternoon with a Valentine version of this box! My "to do" list is pretty long, so we will see! Until later, have a "Stampingrox!" Day! Tags: Beyond the Garden, Blossom Punch, Mixed Bunch, Occasions Mini, Stampin' Up! Just a quick post this morning. Unfortunately I didn't have any time yesterday to post, as I had a workshop last night and it's a 30 minute drive. Now that's not unusual, most of my workshops are 30 minutes to an hour drive away, and I don't mind a bit. I love all of my stampers and love bringing them fun projects to stamp and teaching them new techniques with all the fun new stuff Stampin' Up! gives us in the catalog and Mini's! Plus, a dear friend who I hadn't seen in almost a year walked in for a surprise visit during the workshop, and I was so thrilled to get to see her again! For several years she hosted a workshop for me in her home almost monthly, so we were able to get to know each other really well. She is a "kindred spirit" of mine, and I spent extra time chatting with her. Due to an unfortunate set of circumstances she now lives in another state, but I have her new contact information now and don't plan to lose her again! So glad to get to see you again, Kate! Which brings me to the subject of this post. At the San Antonio Leadership Conference last week, Stampin' Up! announced major changes to the Catalog Program, positive changes, in my opinion, but changes you need to know as you make your stamping purchases in the next few months! 1. The current 2011-2012 Catalog will be ending a month earlier than usual - May 31, 2012. This means we will have the Retiring List a month early-May 1, 2012. 2. The 2012-2013 Catalog will begin on June 1, 2012 and end on May 31, 2013. I personally think I will like having the Catalog begin in June instead of July. It has always been a challenge to hold a New Catalog Open House around the 4th of July weekend! 3. No more Summer Mini catalog. I am happy with this decision for two reason rolled into one: With the New Main Catalog coming out in the middle of the Summer Mini, it was always a challenge to be able to show and stamp with all the new fun things from BOTH catalogs at the same time, as well as get ready for the fabulous Holiday Mini that came out on September 1st! This decision will give us a couple of months to use new Main Catalog products before the Holiday Mini starts. 4. The Holiday Mini will start on August 1st! Yeah! One more month to stamp with all the FABULOUS new things that Stampin' Up! will have for us in the Holiday catalog! The Holiday Mini will run from August 1st through the end of December (possibly the first few days of January like it has in the past, but Stampin' Up! hasn't made that info clear as of yet), so we will have FIVE months instead of the usual four! More time to get those Christmas cards, gifts, and decorations done! 5. The Occasions Mini in the spring will also run for five months. 6. The Main Catalog will be about 40 pages smaller, with more seasonal products moving to the Mini's.This doesn't bother me in the least, since transporting 8-10 heavy catalogs to a workshop can be, well, HEAVY! 7. The Mini's will be slightly LARGER than they currently are, a few pages. Yeah! 9. The Simply Adorned jewelry product line will also be discontinued on May 31, 2012. If you have been postponing purchasing the chains & charms in this line, you'd better do it soon before they are all gone! Whew! This has turned into a lengthy post, hasn't it? Nothing quick about it! If you have any questions, please don't hesitate to email me or leave your question in the comment section. This was part of my "Terrific Trio" swap I participated in at Leadership! The candle is actually glued to the card front with Tombow Multi-Adhesive Liquid Glue, and then the bow is tied on top of the candle! I didn't think I cared for the "Sweet Shop" suite of products in the Occasions Mini when it first came out, but now I LOVE it! The combo of Pool Party, Calypso Coral, Whisper White and Early Espresso is simply yummy! The stamp set is "Sweet Cake"! As I mentioned, this card was part of a trio, so I will be showing you the two other components of this swap in the near future! BTW, thanks for all the sweet comments about my pop-up card from the other day! The winner of the free pop-card is Ruth! Per your request, I hope to provide you with a picture tutorial (or perhaps even a video, my first!) in the near future! Well, I'm off to do a bit of shopping this morning with my DD, Alisa, then it's back home to finish up the intinerary for my downline meeting with the "Yes, Ma'am!" Stampers on Sunday afternoon! Until next time, have a "Stampingrox!" Day! Sale-a-bration is in full-swing! I have been out a couple of nights this week already with Sale-a-bration workshops, and I have another one tomorrow night! I can't wait! Okay, you say? What's the big deal? It's an okay card, but nothing particularly special, nothing you haven't already seen before? Lift the flap . . I am absolutely IN LOVE with this card, and once I figured it out and wrote down all of my measurements, it is EASY! I immediately made another one using the "Just My Type" stamp set from the Occasions Mini, but that one will have to wait for another day as it is for my husband's birthday, which is a month away. Although he NEVER looks at my blog, it hardly seems fair to share it with the world before he gets to see it, right? Anyhoo, I used the Create a Cupcake stamp set, matching Build a Cupcake Punch and Big Top Birthday Designer Paper. If you want to know more, you will have to ask! So here's the deal. I'm going to give this card away! YES I AM! Don't believe me? Just leave me a comment in the comment section. Please be nice, please be clean, and please don't comment if you don't like my card. The FIRST nice, clean, complimentary comment left on my blog about this card will receive it in the mail from me! Just leave your comment along with your email so I can contact you for your address and it's YOURS! I will include a matching stamped envelope so it will be all ready for you to give away to your favorite birthday friend! But I'm not going to stop there! Keep an eye on my blog and you will find out what else is coming in the future! Sale-a-bration starts TODAY! Start getting your order ready, because every order of at least $50 you place with me between today and March 31st will get you an item from this exclusive Stampin' Up! catalog! or click on the Sale-a-bration icon right here on my blog to view the catalog. If you prefer, go to my Stampin' Up! 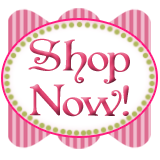 website: www.carolpayne.stampinup.net and place your order TODAY! I will be back tomorrow with MORE Sale-a-bration news! Until then, have a "Stampingrox!" day!